We think we know ancient Greece, the civilisation that shares the same name and gave us just about everything that defines western culture today, in the arts, sciences, social sciences and politics. Yet, as Greece has been brought under repeated scrutiny during the financial crises that have convulsed the country since 2010, worldwide coverage has revealed just how poorly we grasp the modern nation. 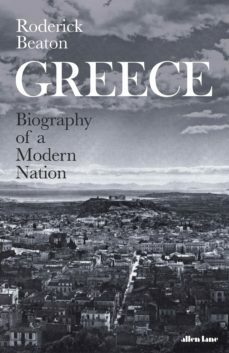 This book sets out to understand the modern Greeks on their own terms.How did Greece come to be so powerfully attached to the legacy of the ancients in the first place, and then define an identity for themselves that is at once Greek and modern? This book reveals the remarkable achievement, during the last 300 years, of building a modern nation on, sometimes literally, the ruins of a vanished civilisation. This is the story of the Greek nation-state but also, and perhaps more fundamentally, of the collective identity that goes with it. It is not only a history of events and high politics, it is also a history of culture, of the arts, of people and of ideas.